SALISBURY, England - A former Russian double agent convicted in Moscow of betraying dozens of agents to British intelligence was critically ill in hospital on Tuesday after he was exposed to an unidentified substance in southern England. But the 66-year-old former spy and a 33-year-old woman who was known to him were found unconscious on a bench in a shopping centre on Sunday in the English city of Salisbury after exposure to what police said was an unknown substance. Both were critically ill in intensive care. 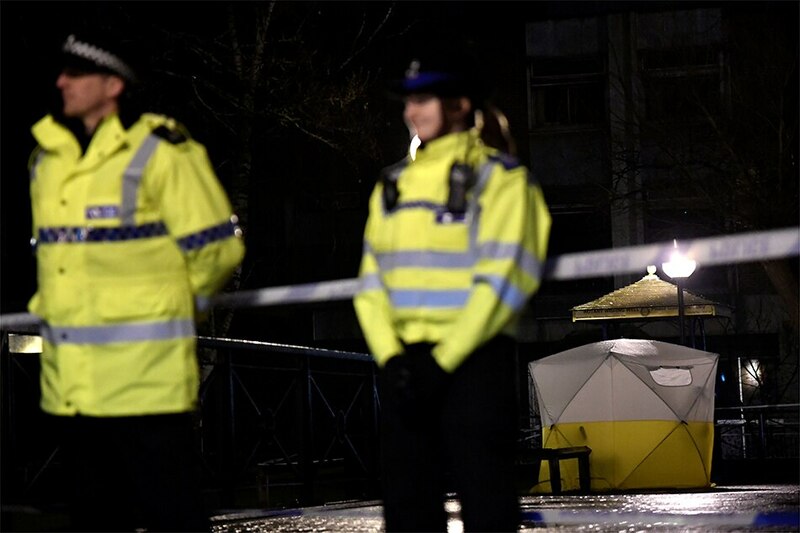 While the British authorities said there was no known risk to the public, police sealed off the area where the former spy was found and a pizza restaurant called Zizzi in the centre of Salisbury. Some investigators wore yellow chemical suits. "This has not been declared as a counter-terrorism incident and we would urge people not to speculate," Wiltshire police Temporary Assistant Chief Constable Craig Holden told reporters. "I must emphasise that we retain an open mind, and that we continue to review this position." The Kremlin has repeatedly denied any involvement in the killing of Litvinenko. Litvinenko, 43, an outspoken critic of Putin who fled Russia for Britain six years to the day before he was poisoned, died after drinking green tea laced with the rare and very potent radioactive isotope at London’s Millennium Hotel. Another Russian, Alexander Perepilichny, who had been helping a Swiss investigation into a Russian money-laundering scheme, was found dead in 2012 in Britain. Police ruled out foul play despite suspicions he might have been murdered with a rare poison. An inquest has yet to give a definitive conclusion as to how he died.